Friday again! Oh happy day. It seems that my fiber Fridays are short posts. 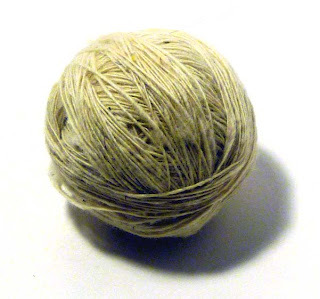 It's not that I couldn't blather on, but when it comes to showing pictures of my fiber, I don't know...I like to let the picture do the talking. 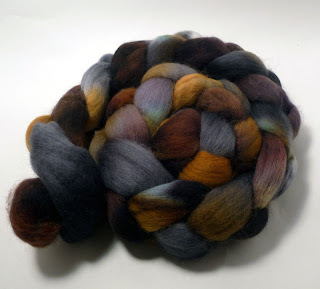 I got a little bit of a mixed bfl/silk blend to play with and dye up, so, since I was feeling spoiled, I indulged in my love of Romanesque colors, i.e. red and purple. So, for your viewing pleasure, here's Empire! It's Wednesday again! That's always a good day, right? Halfway through the work week, Hump Day as it were. It's all downhill from here, baybee! This week, I'm going to talk about a little project I invented for myself. A few weeks ago, a call went out on Ravelry about a small farm in NY that was having some financial trouble and faced the prospect of going under. I spent a lot of time on a farm growing up, so I have a soft spot for people trying hard to make it work. And, this particular farm, Black Berry Hill Farm, produced something I wanted: cormo roving. I had never tried it and I'm always interested in trying new fibers, so I pitched in and bought a pound of the stuff. Fortunately for the farm, our help helped! And overwhelmed them, but they're catching up and producing more, so please do go check them out. Let me stop and say now: I'm not upset! Just surprised that the roving arrived this way. There is, as you can probably see (especially if you click on the picture), quite a bit of VM, or vegetable matter, in this stuff. 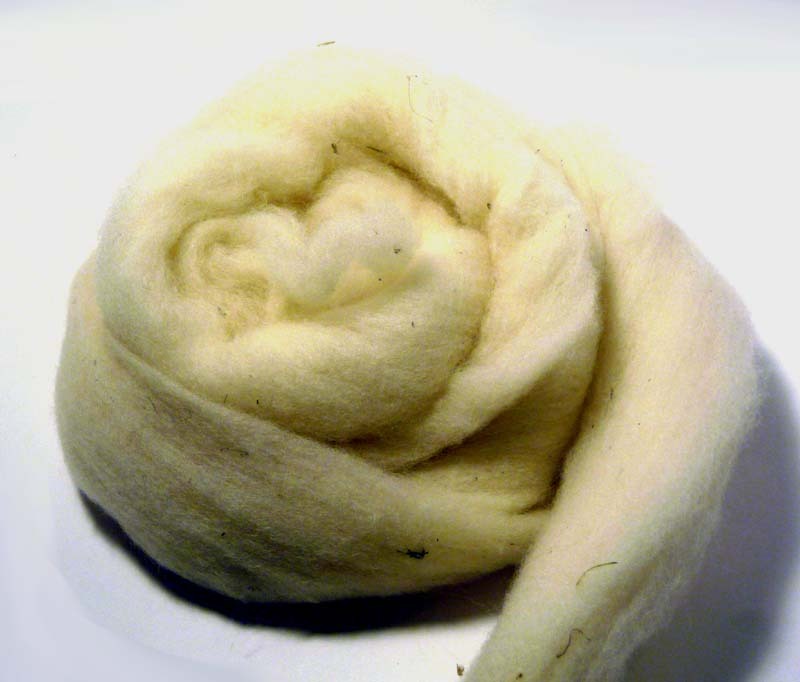 I have also never spun roving that's sticky. By that I mean that after spinning for a while, my fingers are tacky and want to stick together. The fiber sticks to itself. (Yes, I will be washing some before spinning in the future to see if that makes a difference.) 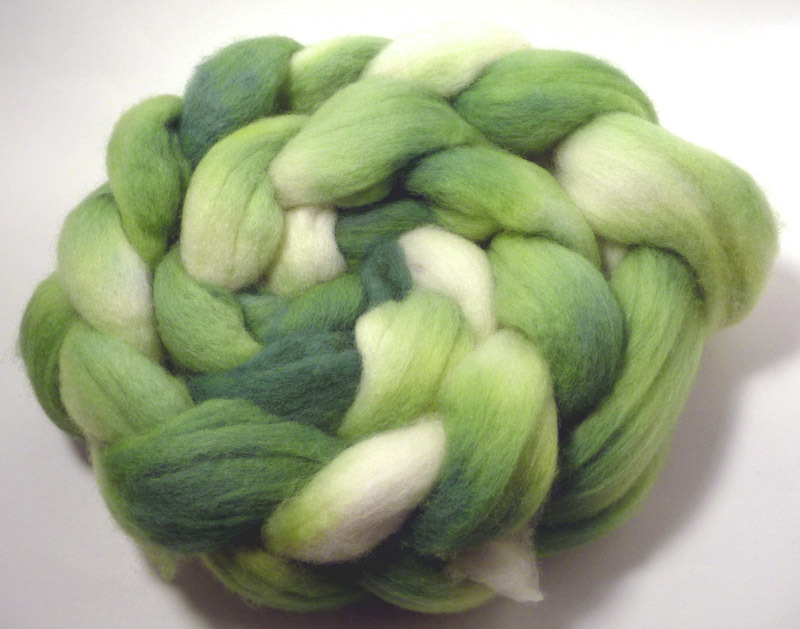 I realized that I wouldn't be able to dye and sell it as is, so this became fiber for me to play with. I like that! On to the next lesson: this roving does not spin into a particularly smooth yarn! Again, it's not what I'm used to, so it took some trial and error to figure out how to spin it. It should be noted: I'm not a long-draw spinner. I inchworm like crazy. I have read that this stuff probably works better being spun long-draw, but there's too little control in that technique for me, so I made it work. 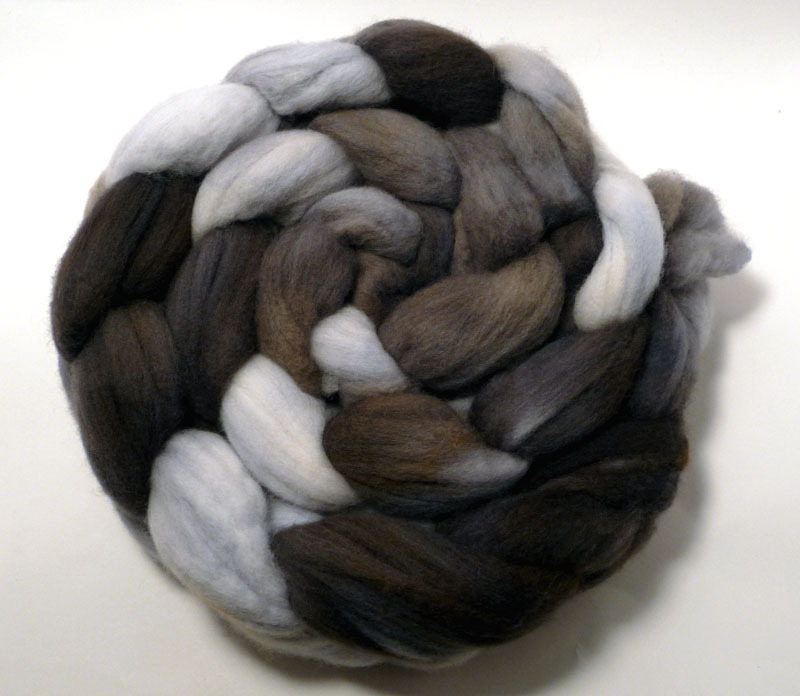 I spun an ounce-ish of the fiber, picking as much vm out as I could as I went. 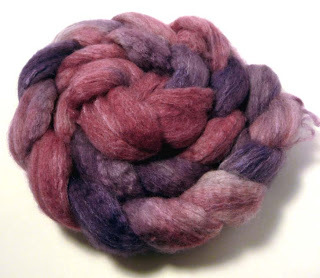 I am currently planning to pair this with some merino that I combed and am spindle spinning, probably for a little stranded project, depending on how the yarn washes up. I have plenty more cormo to work with, so I certainly won't run out. I may dye some up eventually. From here on out, it's all about experimenting, learning, and having fun. Here's my little one-ounce ball of cormo singles. Plying is happening. Soon it will be yarn, and then? Time will tell! So, I may be one of the world's slowest knitters, but occasionally I do make quantifiable, verifiable progress. 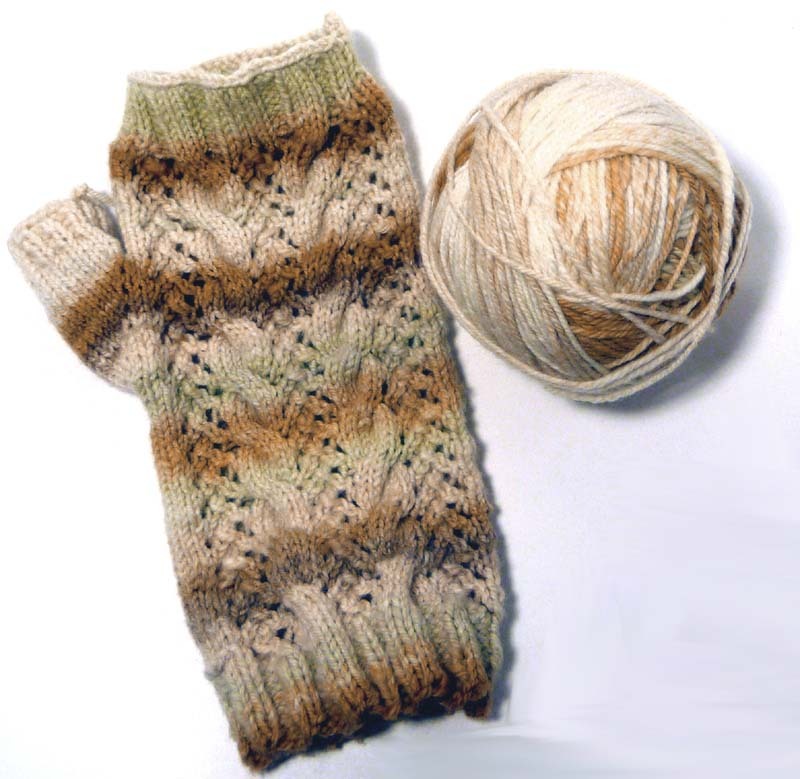 This weekend, I completed one half of a pair of Merletto mitts, out of my handspun merino, from Fat Cat Knits. Despite my issues with spinning merino, sometimes, the yarn came out very nicely, and it didn't take me long to cast something on with it. Finishing it is another story. As is getting accurate color out of my camera today, apparently. This is as close as I could get to the real color. It's lighter and creamier in real life. Happy Friday! Happy Earth Day! As the title says, I am of the opinion that every day should be Earth Day, but I get the idea behind one big celebration. I just hope that the parties and get-togethers get cleaned up after. I still remember hearing that the first Earth Day celebration in Central Park left behind tons of trash to be cleaned up. Kind of misses the point, doncha think? In honor of the day, I'm sharing a couple of my "Earth-based" colorways. I don't have anything special for the day, and maybe I should have done something, but these are perfectly acceptable I think. I called them "Sticks and Stones" and "Shoreline", respectively. That's earthy, right? Right. Wednesday on the Wheel: Accomplished! It's Wednesday, the mid-point of the week. It's all downhill from here, people. In the best sense of downhill. We're headed for the weekend so get ready to relax. Thanks to everyone who listened to my audio file. If you haven't, it's still available, so give it a go and let me know what you think. I found myself looking for audio clips I could use, thinking up segment names and trying to figure out which day I'd slot a podcast into, so I guess my brain has decided for me. I will be doing a podcast. 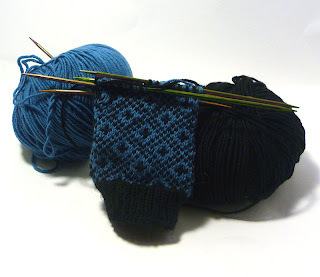 And, despite my changing whims, I think I will go with the colorwork idea. I'm aiming for a May 1st launch, so stay tuned! As for my promise to get something done for you today: I almost did it! I was a treadling fool yesterday and I finished up the Fat Cat Knits Falkland that has been on my wheel a while. 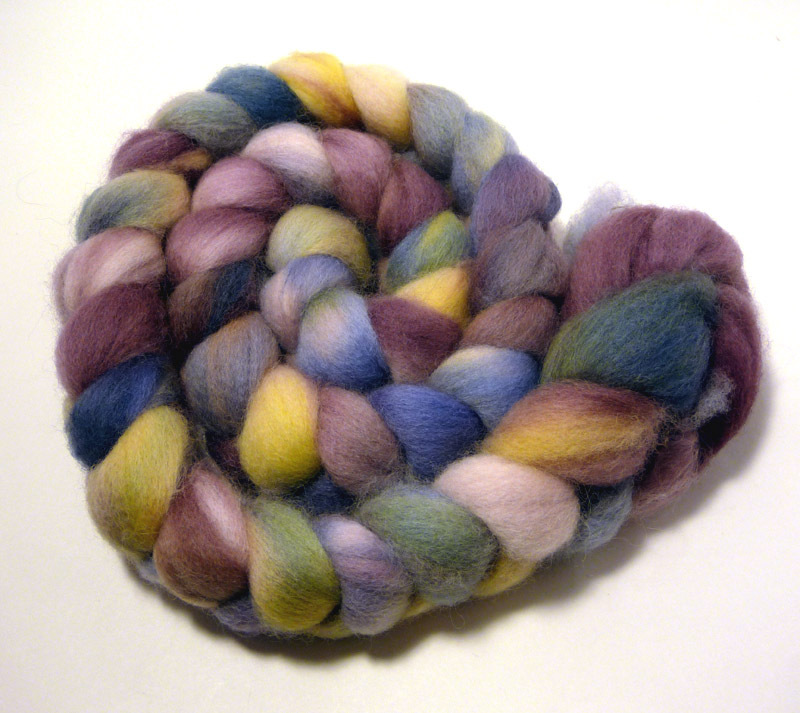 I haven't plied it yet, but it -is- spun, so hooray me. Ginny's Falkland is a dream to spin. She's hosting a monthly color-of-group-choice SAL in her Ravelry group, so if you have an account, you should check it out. I am no good at keeping up with SALs, personally. I spin far too slowly. I still enjoy the fibers though, and seeing everyone else's finished yarns. Tons of fun. Next on the wheel? I think I'll finally spin some of Brie's (she of Fall Creek Fibers fame) lovely fiber, since I have a lot of it but have yet to spin any, and that is a true shame. 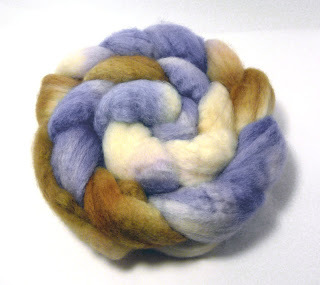 This is superwash wool in lovely springtime colors, which should be just the thing. So this week, rather than give yet another excuse for why I don't have a finished object, I decided to do something different. I apologize for the less than perfect sound quality, and doubly so if I hurt anyone's ears. So it's another teeny tiny update today, which seems sort of anti-climactic for the whole 'hey look, changing the format!' thing, but...I have excuses. Excuses no one really wants to hear. They involve my stupid, stupid knee, still. That said, I -did- manage to do some spinning today, so perhaps by -next- Wednesday. Instead, I will show you my picture of the wee samples that went into the April Phat Fiber group this month. Given the number of boxes that are sold every month, not everyone will get one. I'm sorry about that. But there will be larger skeins up in the shop tomorrow. 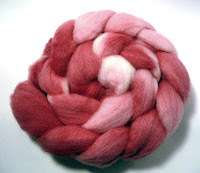 Wednesday on the Wheel: Spindle Candy! As mentioned on Monday, this is part of my new blogging format. Welcome to my first Wednesday on the Wheel. Which is really not about wheels at all, but is about spindles. Or rather, spindling. This is how I started spinning. I think spindle spinning is the gateway drug for some of us. Some people don't take to it until after they've learned their way around a wheel. Some people never do. No approach is wrong. 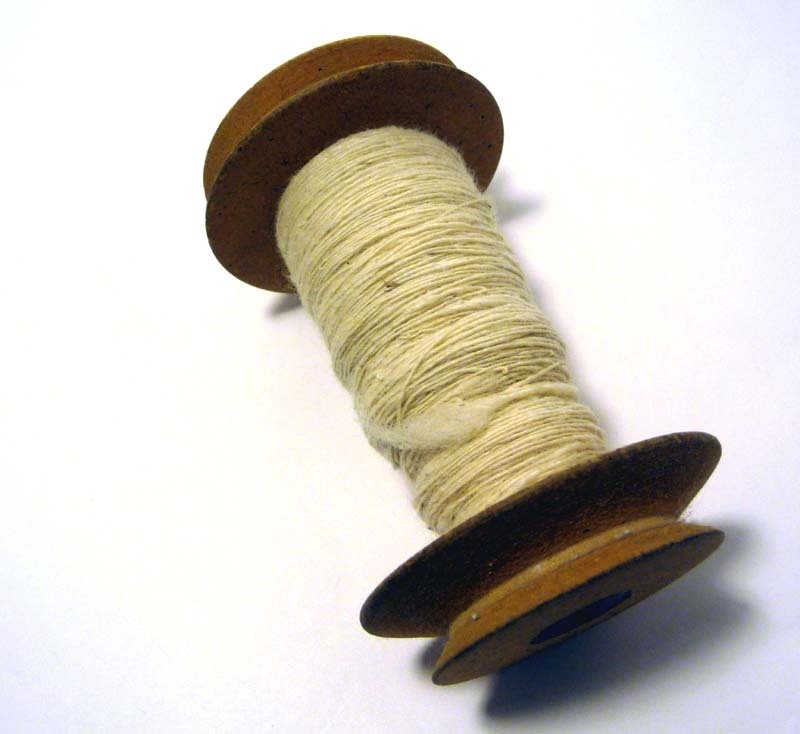 I just happened to start with the spindle and move on from there. And, as this picture will attest, I suffer from the same project-itis in spinning as I do in knitting. None of those fibers are mine, by the way. From left to right they are: Moonrover, Rogue Adventures,Knitty and Color, Moonrover again, Into The Whirled, Old Sheep, Lakehouse Loft, Into the Whirled again, All Spun Up, and more Moonrover. Go forth and patronize! They're all amazing! I have been fiddling and fussing and feeling like one post enough just wasn't enough. Not for me to get everything out without spewing too much information at once. Not for those of you who come back and read weekly. Wouldn't it be nice to have bite sized pieces instead? I have made it so! Starting this week and continuing every (we hope) week after, I have given myself a new schedule. 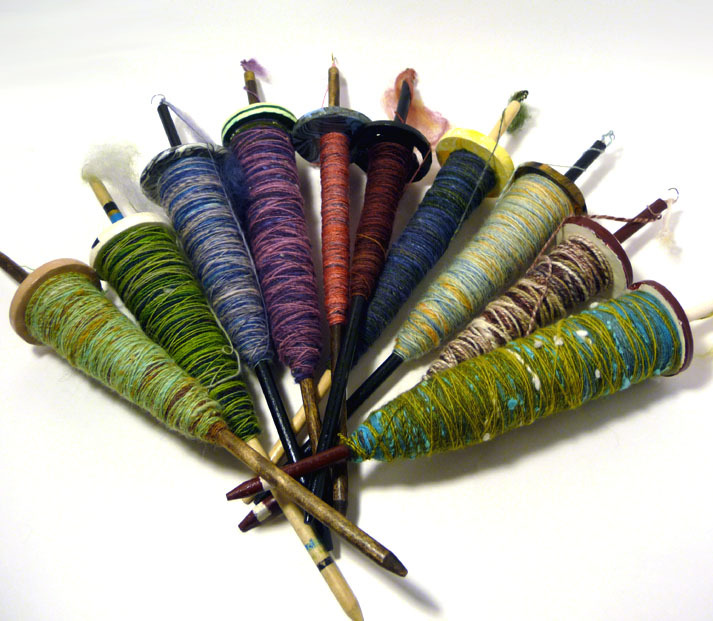 Wednesdays will become "Wednesday on the Wheel", which will be devoted to both wheel and spindle spinning. Probably spindle this week, since I've done something goofy to my treadling knee and using the other leg was just ...well, let's leave it at "unfortunate" and call it good. And Fridays will become "Fiber Fridays", when I will show my latest dyeing projects, ideas, and attempts. I am still obsessed with colorwork. Really, I think it's a sickness. I saw a picture of dogs wearing colorwork jackets today, and I honestly thought, 'hey, I'd make those'! And meant it. But you really can't blame me when there are such awesome patterns out there. I am still cranking away on a pair of Anemoi Mittens by Eunny Jang. This pair is going to Cris of Into the Whirled as show samples for her shop. She sent me a pair of skeins of the most gorgeously dyed yarns. They are honestly a pleasure to work with. And look at how they're turning out! Aren't they awesome? These will be repeeated, I can promise that. And, since I have actually made some verifiable progress on the Endpaper Mitts I mentioned a while back, I figured I'd show those off too. They're on hold until the Anemois are finished, but then I will continue. And these mitts are staying with me. Mua ha ha! I've been working on a couple of changes that will be coming to the shop soon. You can check out the actual website for a hint, but be sure that I'll show off more when the time is right. I am six weeks in to this whole blogging thing, and still enjoying myself. Blog day is a great midweek milestone and something to look forward to, at least from this side of the screen. 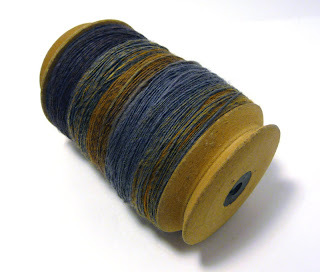 A lot of us, spinners and dyers alike, like color. The more the better. But sometimes, it's good to keep things simple and stick to one or two. Or shades of one or two. I am hardly the first person to think of this, but I haven't been doing it with my fibers for long. The Variations on a (insert your color of choice) series is one I intend to keep up, though. After all, every time I dye one of these, it'll come out a little different. ...is left empty this week. I know, I know, I'm sorry, but I haven't yet caught up with the spinning I ought to do. I've been much more focused on knitting, and you'll see why. 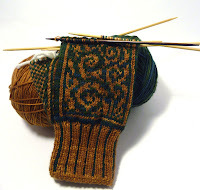 My love affair with colorwork has not ended. As a matter of fact, I think it's growing roots. 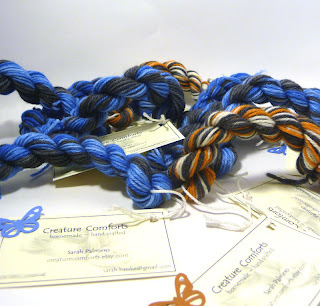 So much so that when Cris of Into The Whirled put out a call for knitters for show samples using her (amazing!) colorways and new yarns, I leapt at the chance and offered to work up some mitts for her. 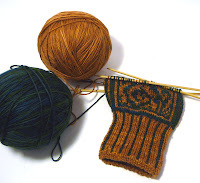 These are the Anemoi Mittens by Eunny Jang -- yes, I'm sensing a pattern here, too -- and I'm loving them. Cris's colors are stunning, the pattern is clear and easy to follow and they're just, well, fun to knit! My only concern is that the tubular cast-on makes for a very small start, but that's been reported in a lot of people's projects on Ravelry. Cris's generous skeins should leave me enough to do another pair (with the colors reversed) so I'm going to try to knit cuffs that will fit over my hand, as well. I have big hands. It's fair to have to fudge.